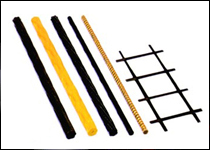 ACC is a society for studying high-performance and high-durability structures using Continuous Fiber Reinforced Materials (CFRM) including Carbon Fiber, Aramid Fiber and Glass Fiber. We have already over 300 actual jobs worldwide. And we have met variety expectations of our customer for extending the life and reducing maintenance cost of structures. Do you have any requests/dreams for better structures and environment question? We would like to realize your dream with our CFRM.